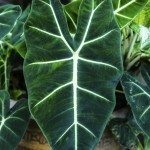 If you’re an indoor plant enthusiast and you’re looking for a unique addition to your collection of houseplants, then Alocasia may be the ideal plant for you. Also known as the African mask or Kris plant, Alocasia doesn’t come from Africa at all. It gets its name from its resemblance to the hand carved ceremonial masks found there but actually hails from the Philippine Islands. There are over 50 species of the Kris plant and Alocasia hybrids abound, making it difficult to identify the exact genetic history of the plants typically sold in catalogs and stores. Grown for its striking foliage, the African mask plant is not an easy care houseplant. Alocasia indoor planting requires conditions that closely replicate its natural outdoor environment, which is warm and very humid. It is particular about its soil and light conditions and needs to be planted in a specific way. 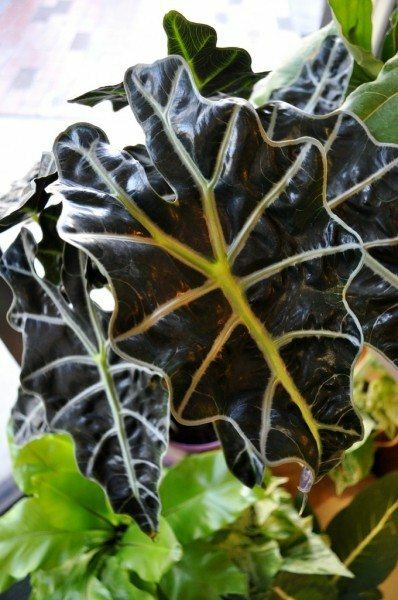 If you’re willing to go the extra mile in Alocasia plant care, you’ll be richly rewarded with an eye catching addition to your indoor garden. Clean lines and crisp, defined color makes the Kris plant (Alocasia sanderiana) an excellent standalone specimen, especially complimentary to modern design. When mixed with a plant grouping, an African mask plant can turn a group of commonplace houseplants into an exotic, tropical display. Its decorative versatility is second only to the plant itself. The leaves grow long and pointed from rhizomatous clumps and reach an average of 18 inches in length. They are a deep, dark green and some are so dark they almost appear black. Their shiny length is accented by silvery white veining and deeply scalloped edges outlined by the same striking white. The flowers are similar to jack-in-the-pulpit with a green and white spathe that produces orange-red berries. They are not significant and rarely occur in an Alocasia indoor planting. Proper Alocasia plant care begins with the soil. It needs to be porous and a recommended mix would be one part soil, one part perlite or coarse potting sand and one part peat. The potting mixture must be well aerated, well drained, and yet remain moist. 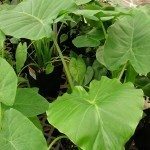 Rhizomes form the root of the Alocasia plant, so care must be taken when planting these rhizomes to ensure the top of the rhizome remains above the soil line or the plant will not grow. Propagation is best done in the spring as new growth appears by separating and repotting the rhizomes. Your African mask plant prefers a tight fit in its pot so don’t repot too often. Humidity is second on the list of necessities for your new houseplant. Alocasia thrives in a moist environment and need plenty of water during active growth. This is a plant that definitely needs a pebble tray beneath it. That being said, the Kris plant also has a dormant period in the fall where the leaves fade and die. Not realizing that this is a natural occurrence, many well-meaning gardeners over water at this point in an attempt to save their houseplant. Alocasia’s need for water diminishes drastically during dormancy and should be reduced to moistening the soil once in a while. Your Alocasia indoor planting should be well lit with bright, but diffuse light. Direct sunlight will burn the leaves. Avoid southern exposures. Fortunately, average household temperatures are sufficient for African mask plants, although they prefer it a bit warmer, about 85 F. (29 C.) in summer. Use a fertilizer formulated for foliage plants, such as a slow release fertilizer applied every couple months during the growing season. There is one more important note that should be mentioned when referencing the houseplant Alocasia in all its forms. 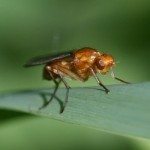 They are toxic and should be kept out of the reach of small children and pets. Read more articles about Alocasia Plants.